NEC for many years had two major product divisions with separate dealer channels. In 2011 NEC merged the two product divisions and dealer channels to better serve their customers. The current NEC UX5000 Server family and the NEC SV8100 Server family are basically the same architecture, offering virtually all of the same features and functions. UX5000 customers have the ability continue to upgrade within the UX5000 Server family OR upgrade to the SV8100. The SV8100/SV8300 architecture will continue to be enhanced with the latest VoIP and Unified Communications technologies and capabilities for the premised based market and will be the migration path to any follow-on generations. 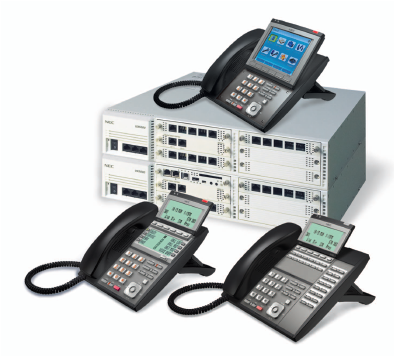 AML Communications is one of the top national dealers for the NEC UX5000 family as well as the NEC SV8100/SV8300 family of products. If you are looking for support for your NEC UX5000 and/or consultation regarding the direction you should be taking, contact AML Communications for a honest and straight forward consultation. Copyright © 2017 AML Communications. All rights reserved.